Yamaha is one of the most trusted and leading companies in producing quality products with customer satisfaction guarantee. If you are looking for reliable, portable, and compact source of power, then all you can invest in this Yamaha portable inverter generator. 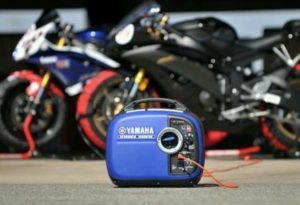 You’re here so I think you have done own research about best portable inverter generator and now you will need to know which one you should take Yamaha ef2000is vs ef2000isv2 or what are the major differences between both. If this is your query you are on reading correct post. Both come with same wattage i.e 1600 Watt. Both are very less noisy so you can enjoy in party function or camping etc. Both have option to connect to parallel generator, if you need more power. Certified by the EPA and CARB agency for the low pollution emission. Yamaha has discontinued the EF2000iS model but you can still find in market and also on shopping sites. Now it’s newer version EF2000iSv2 replaced it. Both the models are very identical in appearance, parts, operation, performance and maintenance but model EF2000iSv2 is more advanced and right option to pick because it comes with a new controller with advanced programming as well as improved power output when it runs between its rated power and surge power (between 1600 and 2000 watts). There is no doubt both the very good portable inverter generator and if you will take any of them it will satisfy you but taking EF2000iSv2 is wise idea and our recommendation because it more advanced, improved power output.